I love coffee, my day wouldn’t be complete without it, I have to drink it every morning and I couldn’t survive the week without it… that is probably how many people out there feel. That’s where this creamer comes into play and will help make your morning routine even more delicious than your regular cup of joe. 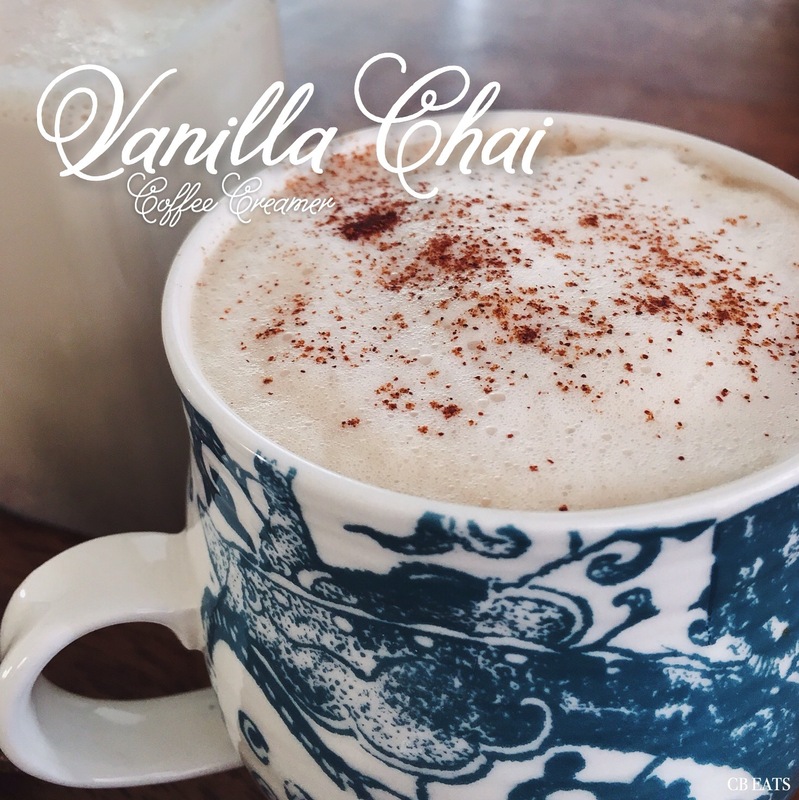 Vanilla and chai felt like the perfect blend of festive flavors for the holiday season, especially now that it isn’t fall anymore and PSLs are officially done in my book until next fall. 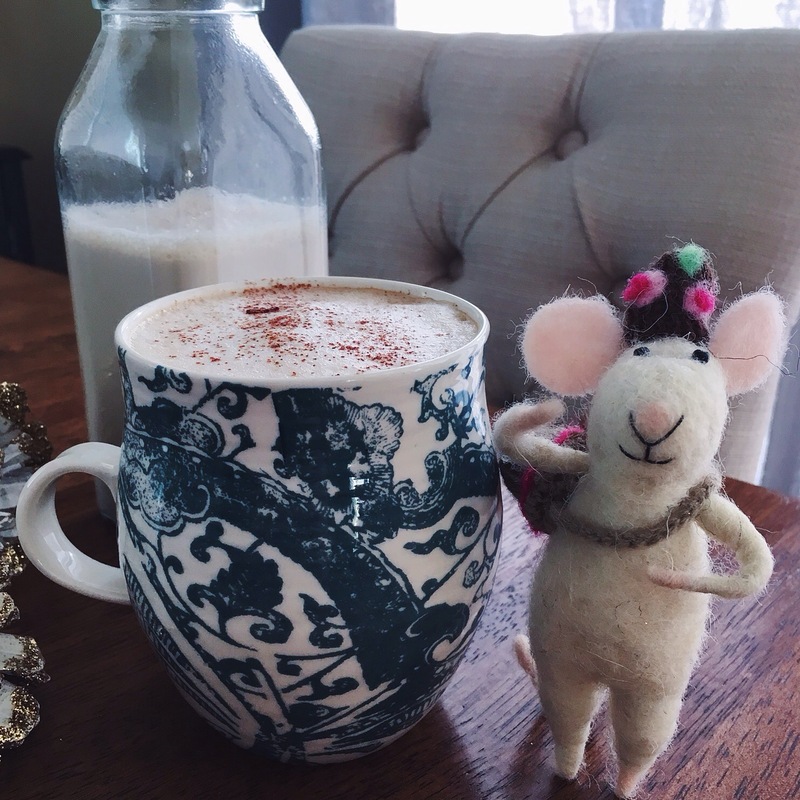 I usually drink my coffee with soy creamer or half and half but I had some leftover Chai Spice Mix from the Chai Spiced Apple Crumble I made awhile back and thought it would be great to make a creamer and thus Vanilla Chai coffee creamer was born. 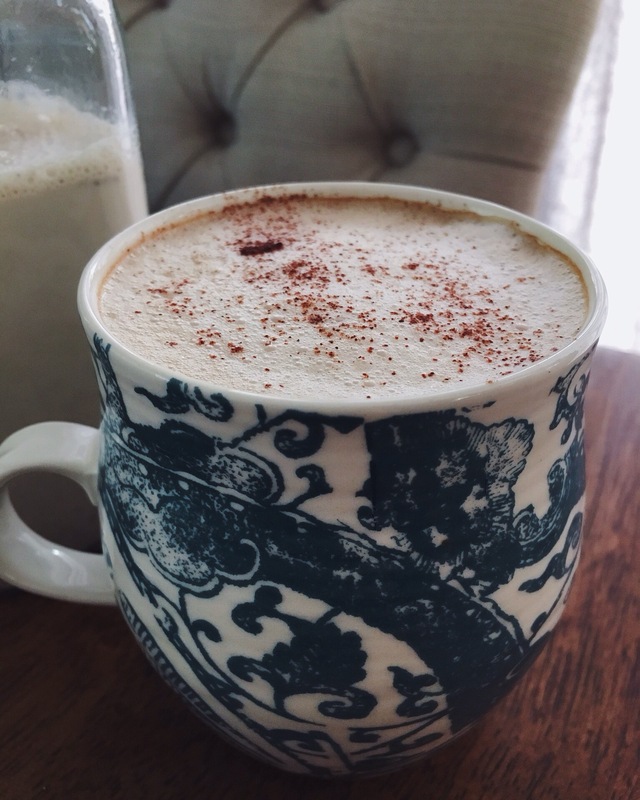 It is creamy, slightly sweet from the brown sugar and maple syrup and warmed me from the inside out with the spices from the Chai spice mix and cinnamon stick. This creamer isn’t too sweet like traditional creamers you can buy at the grocery store. I am not a big fan of those traditional creamers because they are so sweet and there is so much buzz out here about how bad they are for you. I loved making this creamer and knowing exactly what was in it. This creamer has made my mornings so enjoyable that now I can’t wait to get up in the morning just so I can drink it. How cute is this little mouse ornament with her little rucksack and hat. I love her so much that I had to include her since she only gets to come out one month a year. Makes about 14 – 2 tablespoon servings. Combine all ground spices, mix well. If some spices come not ground, use a coffee grinder to grind into a fine powder. Store in an airtight container. In a medium size sauce pan over medium heat, whisk together 2 teaspoons of the Chai Spice Mix and the following 4 ingredients. Add the cinnamon stick increase heat to medium high heat stirring occasionally. Bring to a boil and whisk constantly, turn to low and let cook for 2 minutes. Remove from heat, remove the cinnamon stick and pour creamer into an air tight jar and store in the refrigerator for up to a week. Shake well before each use. Enjoy creamer with your coffee, add sugar if you take your coffee that way and add a sprinkle of cinnamon for fun. *Spices tip: I purchased these spices in the bulk section of the grocery store. It it less expensive to purchase the exact amount needed since they can be quite expensive and aren’t used often. Thanks for stopping by! 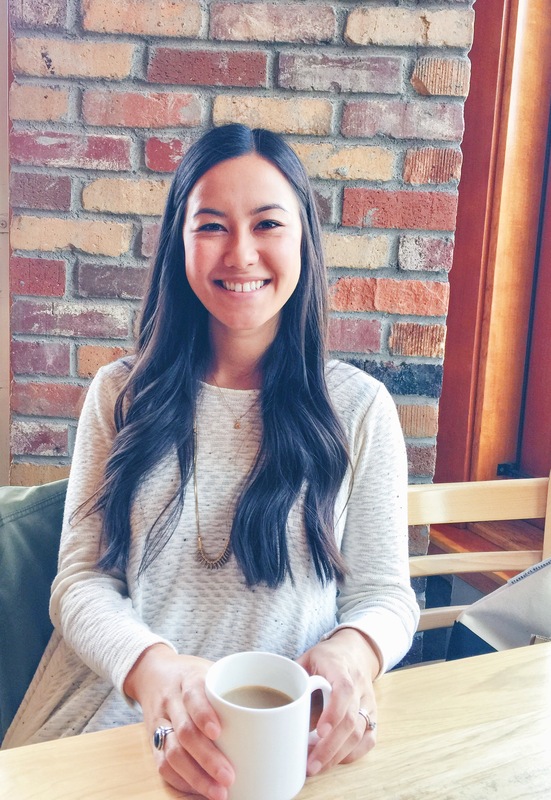 Follow CB EATS by subscribing to email updates or follow along on Instagram.